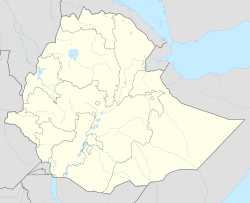 Harar, umwhile written as Harrar or Harer an kent tae its indwallers as Gēy, is a wawed ceety in eastren Ethiopie. ↑ "Harrar" in the Encyclopædia Britannica, 11t ed. 1911. ↑ Ither variants include Hārer an Harer. This page wis last eeditit on 21 Februar 2017, at 17:22.